The third installment of the best-selling series of attack books - Formation Attacks, Formation Attack Strategies, and now, Positional Attacks is another 500 page book, full of great attack information with 532 fabulous attack games from all openings and all eras. The aim of Positional Attacks is to uncover the artistic side of attacking, one that is primarily centered on the creation and exploitation of weaknesses. 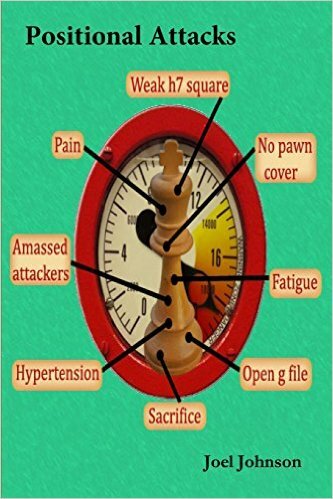 Oh sure, there will be tactics; after all they cannot be avoided in chess - nor would we want to exclude them. But there is nothing quite like witnessing chess masters dissect their opponents with smooth, elegant, aggressive, positional attacking maneuvers. And, once again, the games provided in the book came from an in-depth global search for unique, inspirational, and original attacks from some of the world's greatest attackers. Many of them toil in remote areas of the planet and have only a local following.